Thanksgiving is a lot like the middle child of the family. We go from aggressively watching scary movies all October long, sometimes even throwing Halloween parties in November, and then we skip right to Christmas. Case in point: a pop-up experience that celebrates all things Christmas opened the Sunday before Thanksgiving at ROW DTLA. 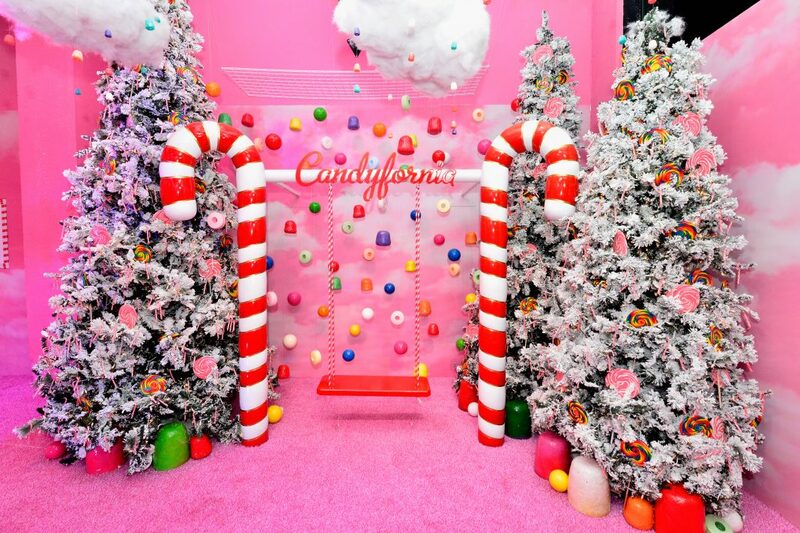 The masterminds behind Fa La Land, marketed as “Tinseltown’s most vibrant and fun holiday pop-up museum,” are Legally Blonde author Amanda Brown, “TV journalist-turned mompreneur” Chloe Sommer, and Rory Dorsey. And they brought the ultimate selfie experience for all of you who start bumping “Last Christmas” by Wham! or Mariah Carey’s “All I Want for Christmas Is You” before it’s socially acceptable. At Fa La Land, there’s also no shortage of Instagram traps. But you already knew that. There’s a mistletoe kissing booth, a Santa selfie station (which feels more like a sit-on-Santa’s-lap-even-though-you’re-too-old station), a room meant to replicate the North Pole (where you can snap a selfie with Mrs. Claus as she roams around), a maze-like room full of fluorescent Christmas pines, a room reminiscent of the board game Candyland, and also a room meant to serve as a mini-music festival—because you know you miss flower-crown season. But before immersing yourself in these interactive rooms, you’ll have to be honest with yourself and choose one of two doors to enter: Naughty or Nice? Don’t lie; baby Jesus is watching. Once you’ve settled that, you’re free to flood your Grinch-y friends’ timelines with Fa La Land fun. Fa La Land, through January 6 (closed Mondays) at ROW DTLA, 787 Alameda St., building 2, suite 138, downtown. Tickets are $37; children under 3 are free. Previous articleHow Does California Clean Up After a Disaster Like the Woolsey Fire?